THE new Minister of Industry and Commerce, Nqobizitha Mangaliso Ndlovu, says the revival of industries will be a top priority during his tenure as the new political dispensation moves to transform the country's economy and create jobs. The youthful minister acknowledged that the demise of several industries in recent years has not only reduced manufacturing contribution to Gross Domestic Product but has crippled livelihoods as it resulted in loss of jobs. He said Bulawayo, once the pride of the manufacturing sector in Zimbabwe, would be turned around, as well as other key industries countrywide. Minister Ndlovu said his ministry would also push to facilitate opening of new factories. "Of course, Bulawayo is a priority for us to revive industries and restore the city to its status as the industrial hub of this country. Having done that we will also look at other industries operating and solve issues affecting them," he said in an interview yesterday. The Minister pledged to be seriously pre-occupied with making industry across the country viable through implementation of a "robust" industrialisation policy and removing investment bottlenecks. 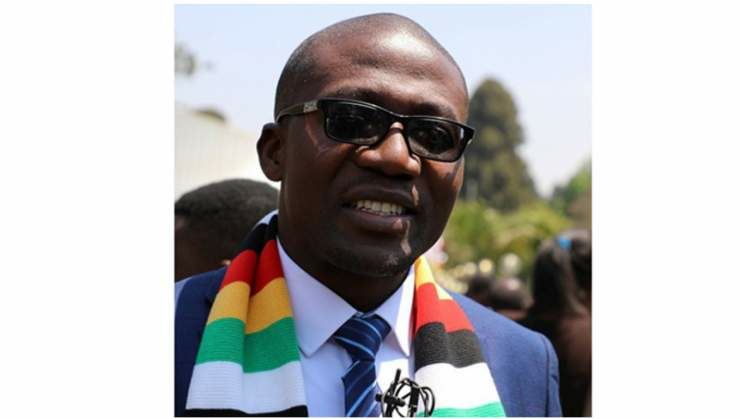 On Monday, Minister Ndlovu told our Harare Bureau immediately after taking the oath of office at State House that transforming the living standards of citizens and providing them with decent jobs was critical towards attaining President Mnangagwa's dream of a middle income economy by 2030. "I cannot really disclose my plans for now but I am looking forward to having a robust industrialisation policy. I will review what's there," said Minister Ndlovu. "I am looking forward to coming up with policies that are investor friendly, that are friendly to industry, (and) that are friendly to the economy because our focus is really that even in the manufacturing sector, we need to see capacity utilisation going upwards of 50 (percent), 60 (percent). "If you are north of 65 (percent) then you know that even those companies are profitable." The 2017 Confederation of Zimbabwe Industries (CZI) manufacturing sector survey indicated that capacity utilisation in the manufacturing sector was 45,1 percent compared to 47,4 percent in 2016. High costs of production, shortage of foreign currency, cash and raw materials top major constraints. Capacity utilisation peaked at 57,2 percent in 2011, before retreating to 44,2 percent in 2012, 39,6 percent in 2013 and 36,3 percent in 2014. The decline continued in 2015 when it hit 34,3 percent on the back of unrestrained imports, among others. This prompted the promulgation of Statutory Instrument 64 of 2018, which sought to restrict the importation of products that can be produced locally. An industrialist and academic in his own right, Minister Ndlovu said Government would do everything in its power to address all bottlenecks hindering growth of industrial capacity.